Summary: The Pacific Asia Indigenous Tourism & Trade Conference 2015 (PAITC) took place September 12-14, bringing together indigenous groups from around the world to form partnerships, share stories, and discuss best practices on promoting the burgeoning field. A key element explored the value of that unique relationship between First Nations and the environment. Delivering the conference’s keynote address was renowned National Geographic explorer-in-residence Wade Davis who told delegates that indigenous tourism could potentially revolutionize the industry by encouraging a better appreciation of cultural diversity. Aboriginal Tourism Association of BC head Keith Henry said First Nations’ tourism is unique because it provides a snapshot into a culture and its people. 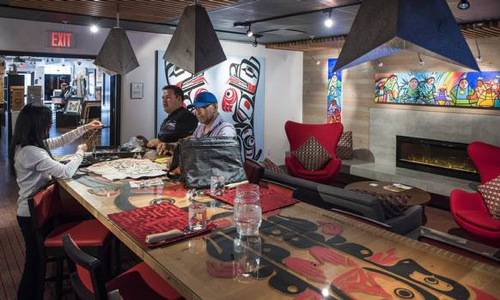 Indigenous tourism in BC employs 3,400 people, reached $50 million in revenue this year and Henry expects it to hit $68 million by 2017.